The girls soccer team faced a familiar post season foe in the Granby Rams tonight. Granby was first on the scoreboard with a first half goal. The Woolies tied the game when Jenna Nasuti beat the Granby keeper on a PK. With less than 9 minutes remaining in the 2nd half Millbury took the lead when Nasuti scored her second goal of the game. 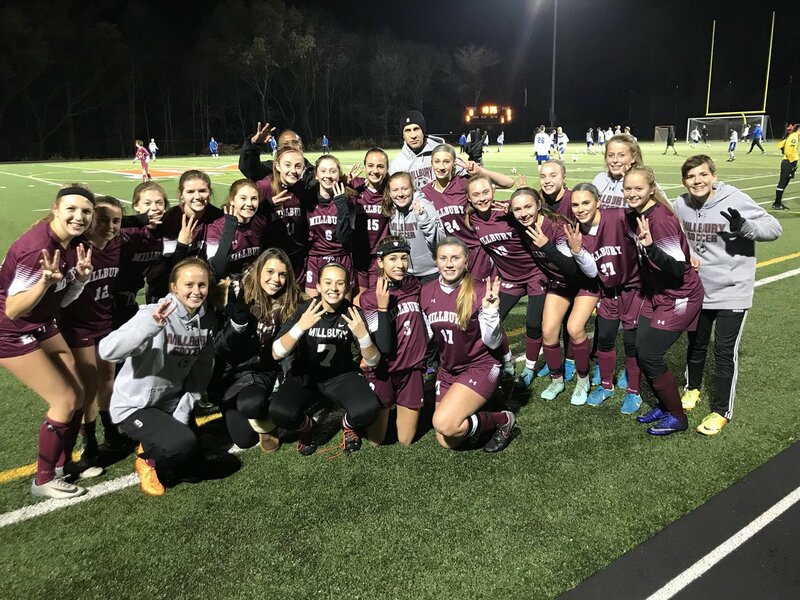 Millbury girls soccer will be heading to their third consecutive state finals game looking for a third consecutive State Championship. The Woolies will face Millis in the championship game on Saturday at 10am at Worcester State. Ticket prices are $10 Adult and $7 Student/Seniors.